3.1 What is Off page optimisation? Successful SEO optimisation can be done through two ways. These two factors play a vital role in running of Seo optimisation. On page and off page factors are the wheels that run the vehicle of SEO. We have already discussed On page factors. Let’s concentrate on off page factors this time. Basic understanding of Off page optimisation! Off page optimisation is defined as the technique which helps the website to improve its ranking on the search engine results page. These factors functions outside the boundaries of the web pages.These ranking factors are not directly controlled by the publisher. Off-page optimisation basically deals in link building for SEO. Off page SEO is a long term and time consuming process.It includes acquiring backlinks to your webpage from the authority sites, Social media and Social bookmarking. Off page factors work in the background to improve the search rankings. Is there any significance of “Off page optimisation”? Search engines have been running on two wheels, On page and Off page factors. Even if one disbalances, it will lead to failure in proper SEO. Talking about Off page optimisation, there are people who ignore off page optimisation, but still expect quick results. To make sure that your website ranks, there should be visibility of the website and so the balance needs to be maintained. Off page SEO plays an important role in the backend. Without applying off page factors, surely your website can not rank. This is due to the major factors such as link building, social media, videos, blogging etc. If any website needs references from a website, it(website) should be socially active and should definitely be shared amongst the communities of their niche. Hence, off page factors are essential for any website to rank. Off page optimisation techniques for better rankings! By applying off page Seo tactics, you can boost the ranking of your web page, be noticeable and get drive traffic on your webpage. Let’s go through various techniques to optimize your web page. Link building - It is one of the most famous ways of doing off page optimisation. Link building is defined as building external links with your website. The main aim is to get as much links or votes you can to rank higher than your competitors. Blog Directories - These are directories like yellow pages which links the entry back to a website. Forum signatures - By commenting on forums, people were getting a link back to their website as they used to leave links in their signatures. Comment link - Just as in forum signatures, where you leave a link in your signature when you comment on any other’s blog to get a link back, here, instead of writing your name you write keywords in the comment. For example, Instead of writing ‘Comment by Joe’ you write ‘comment by where to buy dogs’ or something of that sort. Article directories - If you publish your article in the article directories, you will get a backlink to your website. Mainly directories accept only original content, but there can be some directories which accepts article which are reworded or spinned. Shared content directories - In shared content directories, websites like hubpages or infobarrel allows you to publish your content and in return, you can add links favouring your website. Link exchange schemes - This is an interesting way to build links. The scheme talks about getting in touch with the webmasters of different websites and exchange links, i.e. linking website ‘X’ to website ‘Y’ and in return website ‘Y’ would link to website ‘X’.There is another complex method which is by exchanging links with 3, i.e. linking website ‘X’ from website ‘Y’ and website ‘Y’ links to another website. Social Media - Another way of building links is by engaging your website on social media platforms. It is a great way to attract traffic. The links which you see on social media are generally no-follow links, but this does not indicates that those links do not have any value. Mentioning your brand on social media platforms will drive a hell lot of traffic. Go straight with your strategy and website, you will definitely start ranking. Social Bookmarking - This is another great way of promoting and attracting huge traffic to your website. This can be done by promoting your blogs on famous websites such as, Reddit, ScoopIt, digg, StumbleUpon etc. The content is very frequently updated on such sites, which is appreciated by Search engines. Guest Blogging - We know the fact that by curating new, unique, compelling content, building up new links will drive traffic to your website. Blogging is a way to attract traffic with bare cost. By posting comments on other websites will allow you to add links in the comments section. The links will be crawled by the search engines leading to driving traffic to your website. How does off page optimisation benefits in SEO? More rankings - By using the techniques of “off page” optimisation, a successful strategy will help increase your website rankings in the SERPs. This will help you attract more traffic. More exposure - The best part about Seo is when you start ranking higher on SERPs, you get more exposure, i.e. 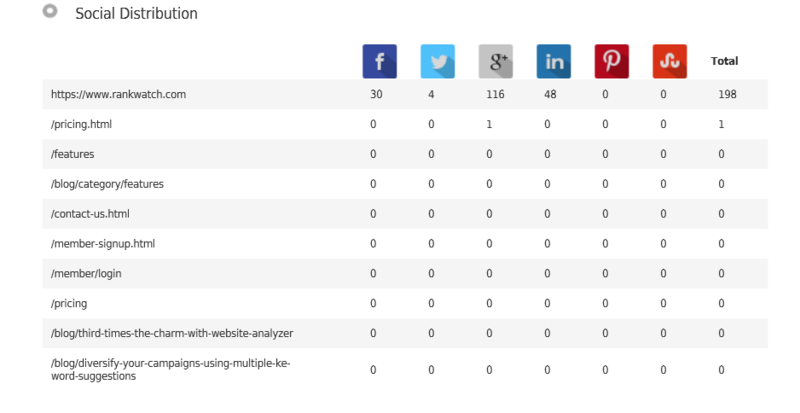 more clicks, more visits, more links and more mentions on social media. This is a chain of events which takes place one after another. Better pagerank - Pagerank is a concept introduced by Larry page which talks about importance of a website in the eyes of Google. The concept is about ranking the web pages between 1 to 10. The higher the rank, the better is the website in the eye of Google. Do you find it difficult to check your off page factors on your web page? Here you go! RankWatch helps you to analyse your complete website. Whether it is your on page factors or off page, RankWatch will give you detailed report about it. Get a detailed analysis done by RankWatch. Off-page SEO factors are as important as on-page SEO factors. To have a successful SEO optimisation, both should be done. Earlier it was still easy to rank by building spammy links but, after the penguin and panda updates, its much difficult. Off page factors require much pains for creating quality links. Both the factors go hand in hand. Hence, making off page factors equally important as on page.